These forever and always blush napkins are a sweet addition for your wedding day. 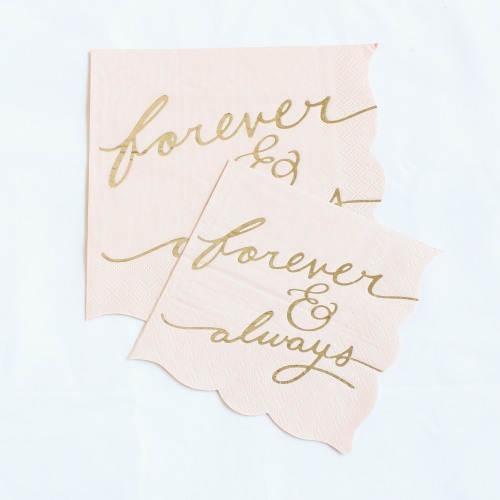 Featuring scalloped edges and "forever & always" written in gold script font, these napkins are almost too pretty to use. Perfect for any romantic wedding.